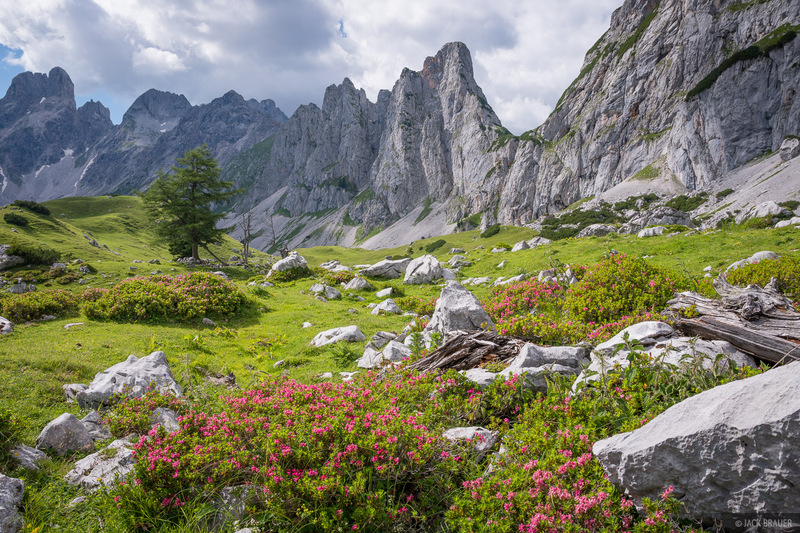 The high valley of Rinderfeld is an Alpine "Shangri La" full of larch forests and gorgeous meadows bursting with alpenrose and gurgling springs, all surrounded by towering rock spires. I was awestruck by this little slice of paradise and had a hard time leaving! Photo © copyright by Jack Brauer.